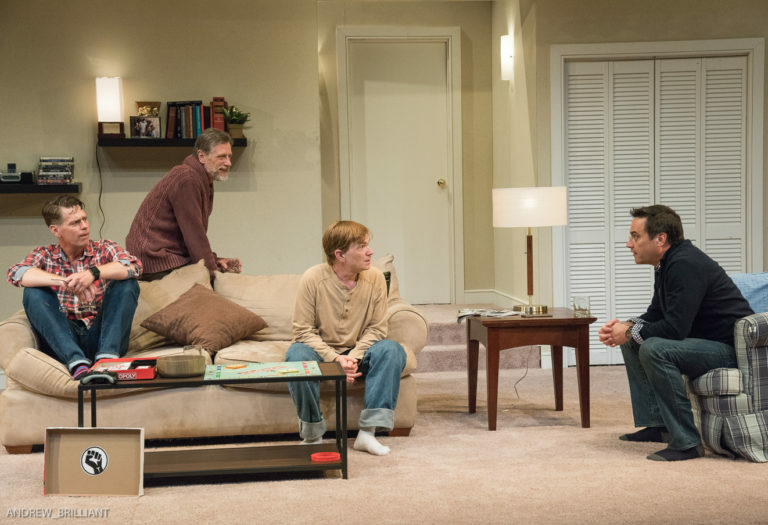 Clybourne Park: Won’t You Be My Neighbor? 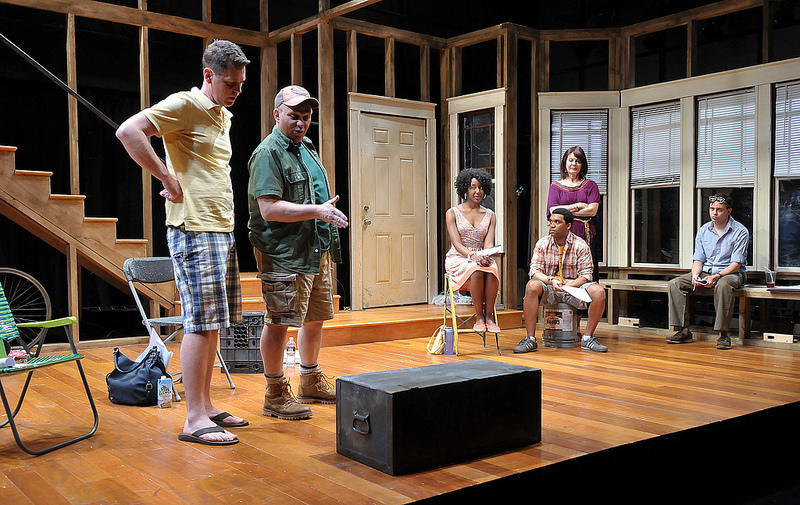 Michael Kaye, Thomas Derrah, Marvelyn McFarlane, DeLance Minefee, Paula Plum, and Tim Spears in a scene from SpeakEasy Stage’s production of Clybourne Park, running March 1-30 at the Calderwood Pavilion at the Boston Center for the Arts. Tickets/info at speakeasystage.com or 617.933.8600. Photo by Craig Bailey/Perspective Photo.